Warning: prices, links and product specifications for 41H0075 Lexmark C748de C748 A4 Duplex USB Network Colour Desktop Laser Printer - Refurbished with 3 months RTB warranty are submitted by our listed stores. Please notify us if you find any errors. 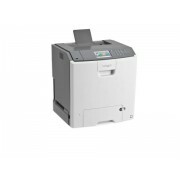 ShopMania provides the best offers for 41H0075 Lexmark C748de C748 A4 Duplex USB Network Colour Desktop Laser Printer - Refurbished with 3 months RTB warranty. Find the most secure online stores that deliver in London, Birmingham, Glasgow, Liverpool, Manchester and all over the UK and buy 41H0075 Lexmark C748de C748 A4 Duplex USB Network Colour Desktop Laser Printer - Refurbished with 3 months RTB warranty at discount prices. Choose from hundreds of retailers and find the best deals, compare used components and peripherals offers and find the best 41H0075 Lexmark C748de C748 A4 Duplex USB Network Colour Desktop Laser Printer - Refurbished with 3 months RTB warranty prices available. Read user comments and product reviews, see our 41H0075 Lexmark C748de C748 A4 Duplex USB Network Colour Desktop Laser Printer - Refurbished with 3 months RTB warranty photo gallery, find all its details and features only on ShopMania.